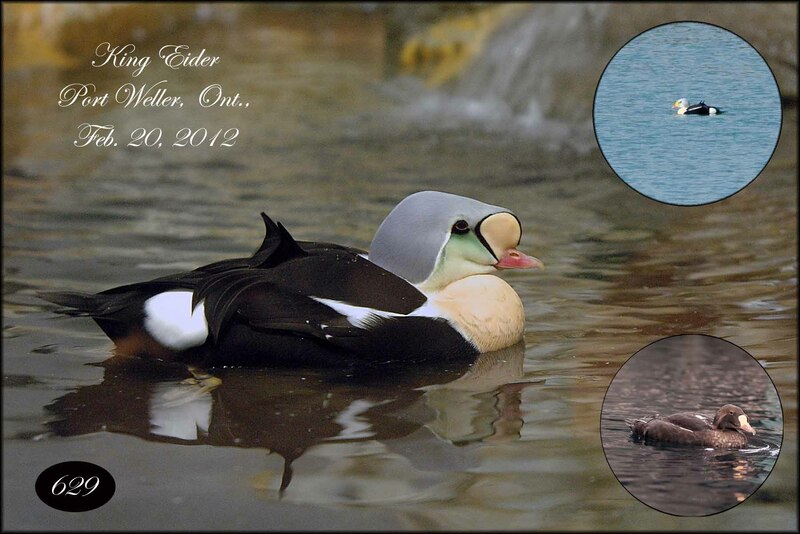 This morning I got a call from a good friend that 4 King Eiders were being seen at Andrew Hayden Park. As these are birds I’d never seen in Ottawa, off I went. The last sighting was in 1993 good bird to try and see. 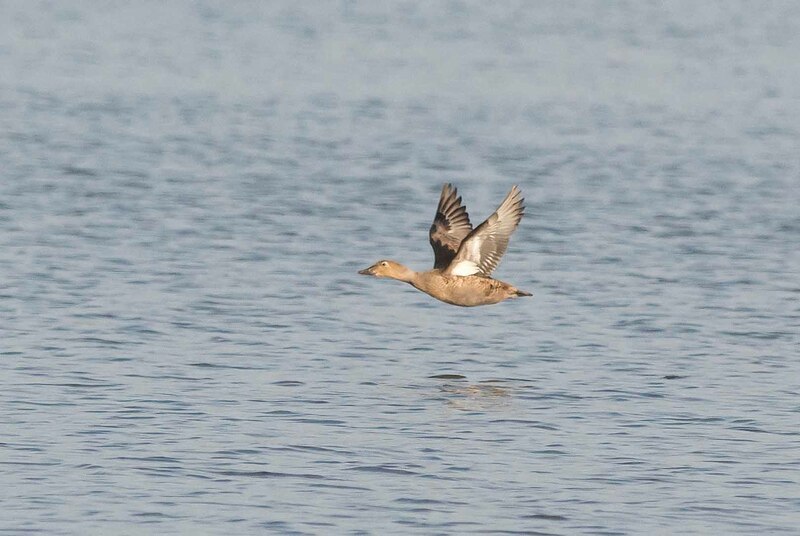 Just as I arrived at the parking lot 3 of the Eiders lifted off and headed south. 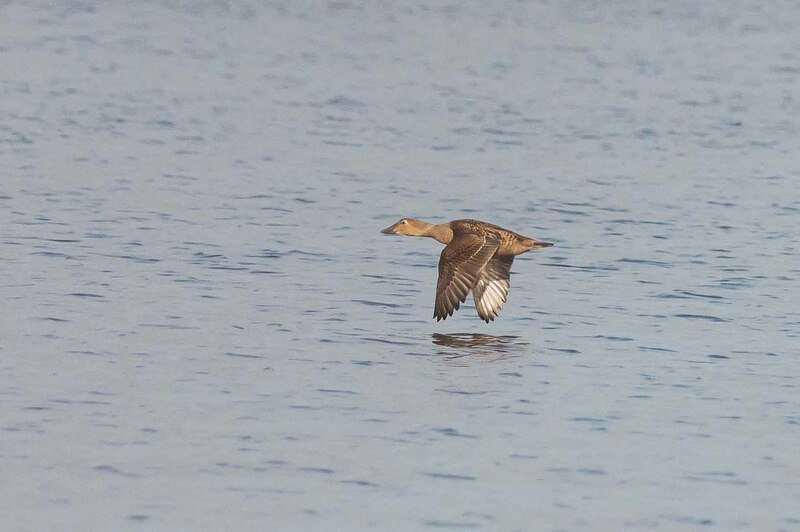 Eiders are unmistakable in flight, darn, at least they waited for me. I saw one lone scope in the distance and figured it would be a good place to start looking. 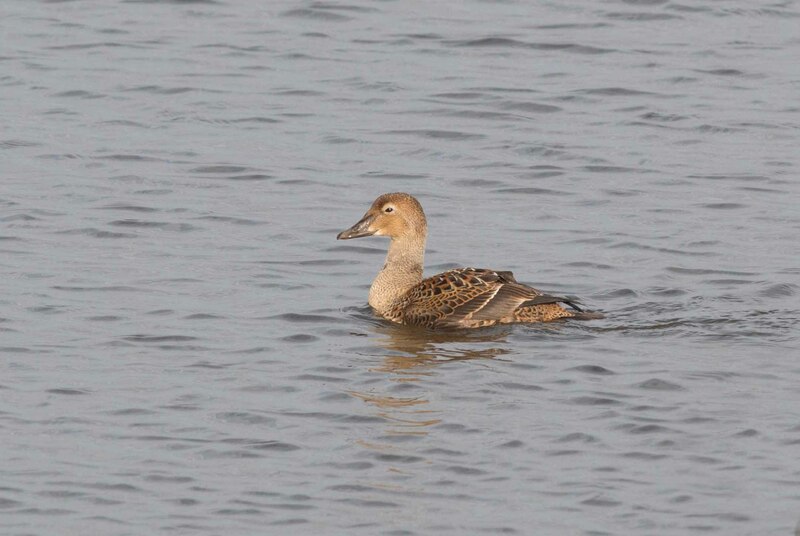 I met up with Brian who had originally found the Eiders and he pointed me in the right direction to see and hopefully get a photo of the last one. The bird was swimming towards Ottawa beach but constant harassment from a Black-backed Gull forced it to fly back to Graham Bay. It gave me a perfect but distant broadside flight shot. These flight images show the upper and lower wing patterns. 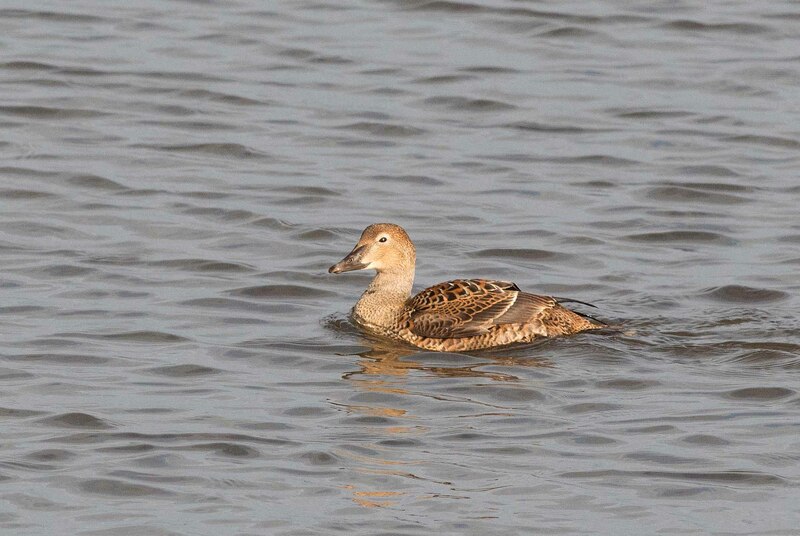 Catching up to it near the entrance to Graham Creek it gave me a perfect close broadside….a lovely female Eider. Someday it will be a male I hope, the composite image below , shows just how lovely the male of this species is. Thanks Brian Morin for a great find and thanks Bruce my friend, for the heads up. This entry was posted in Birds, Ottawa Birds. Bookmark the permalink.